Sorry, you can only order up to 100 units of this product! Backed by a fantastic 15-year anti-rot warranty and over 6-foot wide, the Pent Large Outdoor Store is tough, spacious, and makes a great alternative to a garden shed. 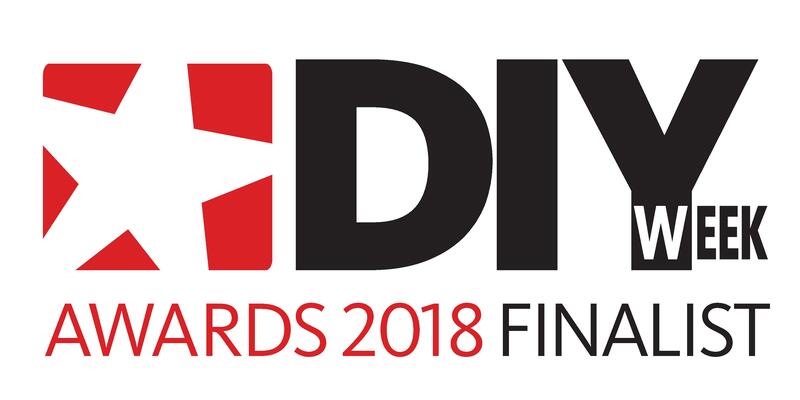 This wooden garden store is made in the UK and constructed from 7mm overlapping rough sawn FSC®-certified timber, which is sourced from sustainable, well-managed forests. The floor is made from tough 8mm OSB, mounted on pressure-treated bearers to keep it off the ground and ensure the contents remain dry, whilst the pent roof has a sand felt covering to protect stored items from the rain. 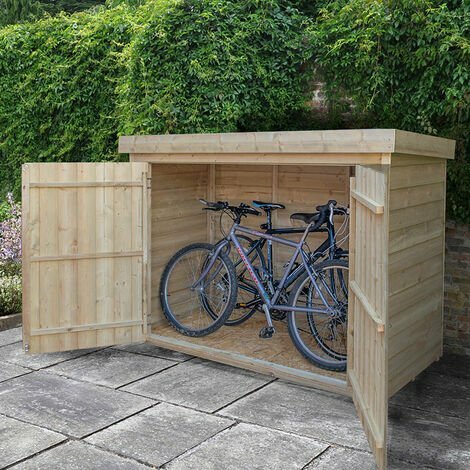 With measurements of 1450mm x 1950mm x 870mm and a generous 2000-litre capacity, this subtle storage unit is perfect for safely housing bicycles, lawnmowers and garden furniture. Access to the garden store's contents is easy thanks to large double-doors, which have a hasp and staple closure and can be secured by padlock (not included) to keep everything safe. Cleverly hidden door hinges add further security. This handsome lawnmower store enjoys shiplap tongue and groove front panels, has a lovely natural timber finish, is backed by a fantastic 15-year anti-rot warranty, and has been pressure-treated to guard against rot. No further treatment is required, saving both time and money. Easy to assemble, with instructions and fixings included, three different types of this outdoor wooden store are available, as is free delivery to most UK addresses. Very good quality timber. Adapted by cutting out two squares in top half of doors, and fitting mesh to use as ???? kennel. Replaced external ironwear to secure doors, and insulated and laid lino on floor.